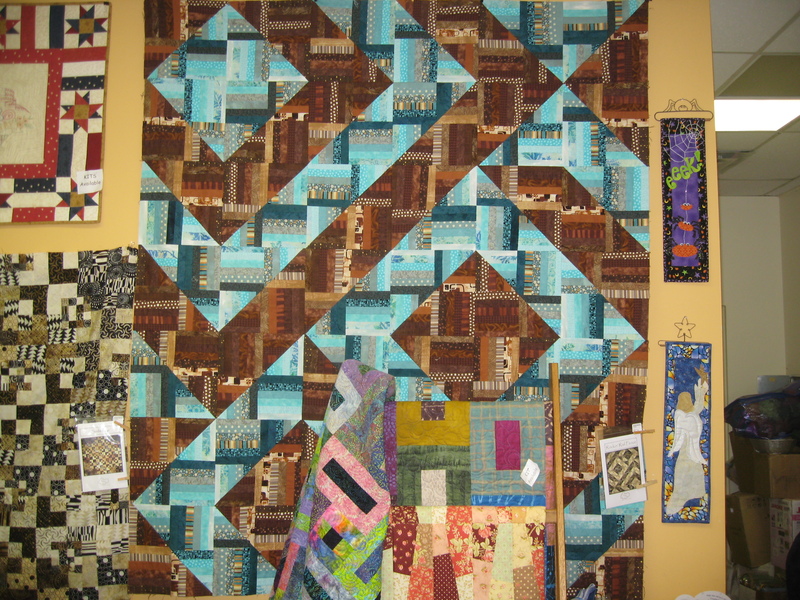 You are currently browsing the category archive for the ‘quilt shop’ category. 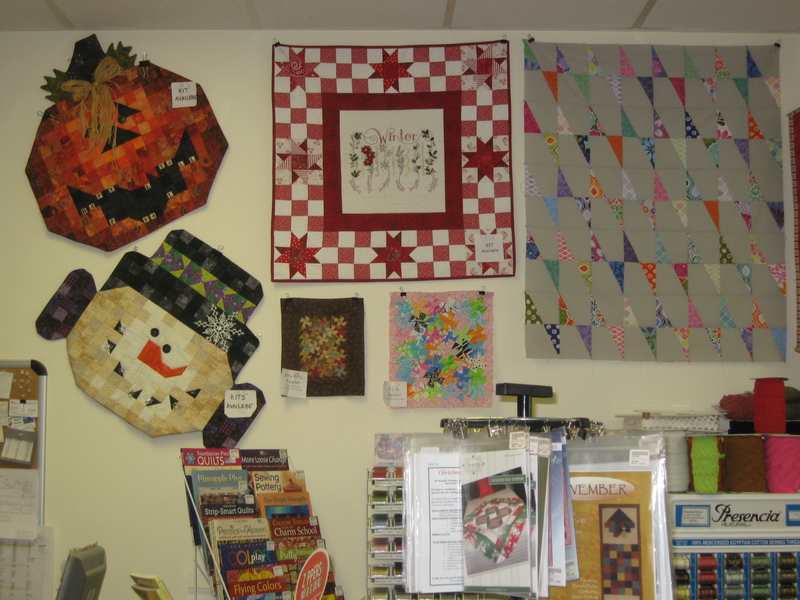 Our first stop was Quilter’s Destination in Arlington Heights. I scored more of Anna Griffins Christmas line from last year. They had it 40% off so I managed to get some yardage. 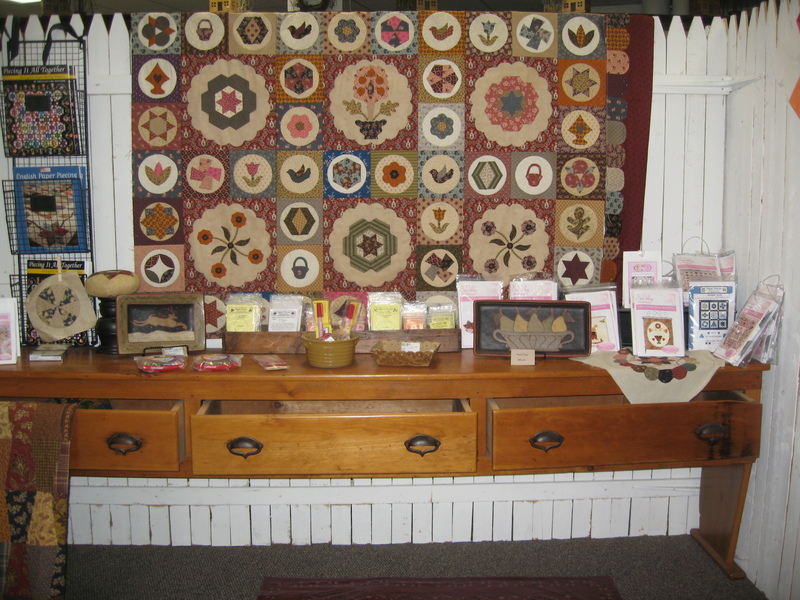 The shop has a great selection of Batiks & Art Gallery prints, which I love! Check out this piece that looks like paper doilies. I should have bought more of this one. 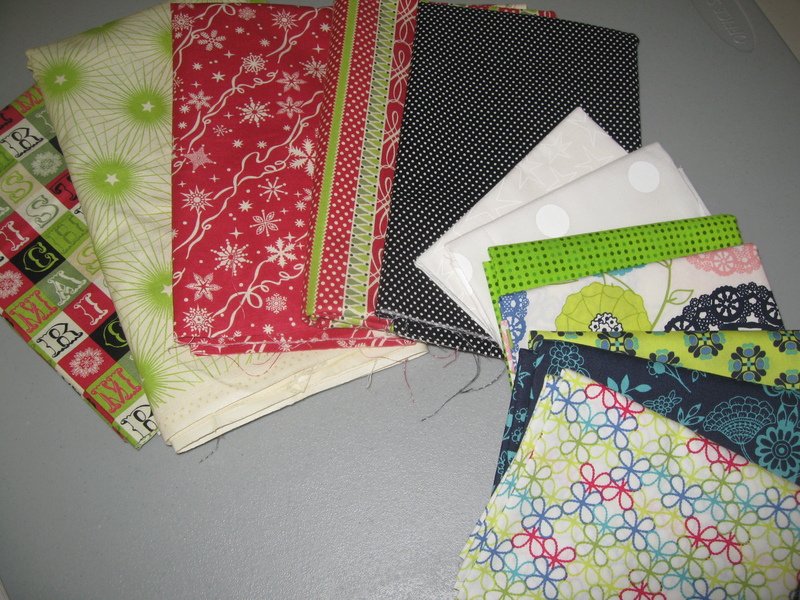 Here’s a few shop samples she had made up. 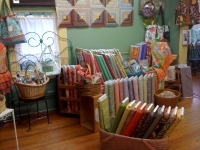 Next stop, The Quilt Merchant in Winfield. 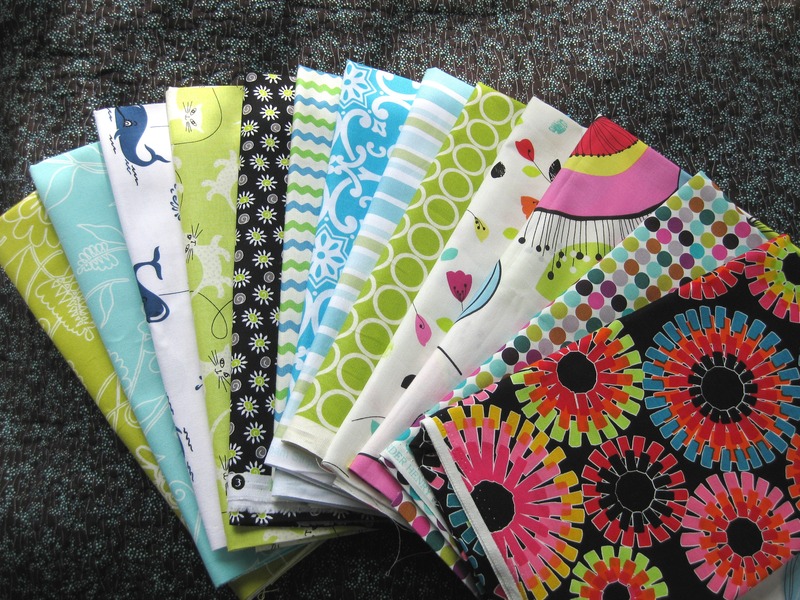 Mostly reproduction fabrics, but they had added a new section on for all us modern peeps. 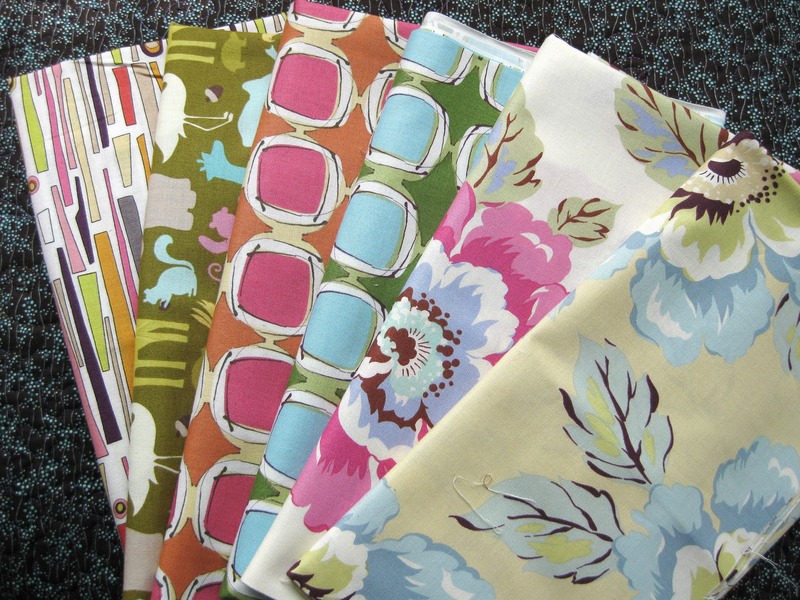 I put together a cute selection of fabrics for a Mother’s Day gift, which I cannot show you for obvious reasons. 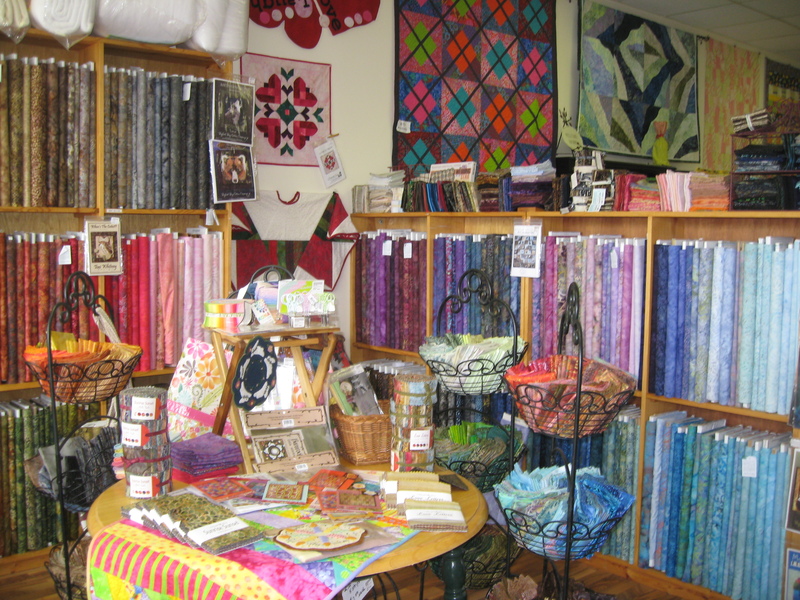 There were lots of great ideas in this shop if I wanted to bring a reproduction pattern to life with bright colors. 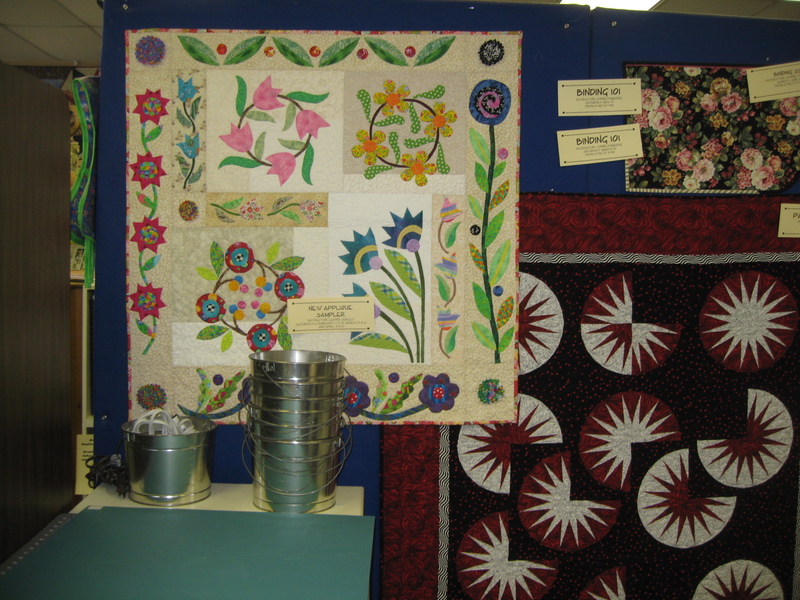 I was especially drawn to a section of patterns by Sue Daley. All hand work of course…what am I thinking??!! 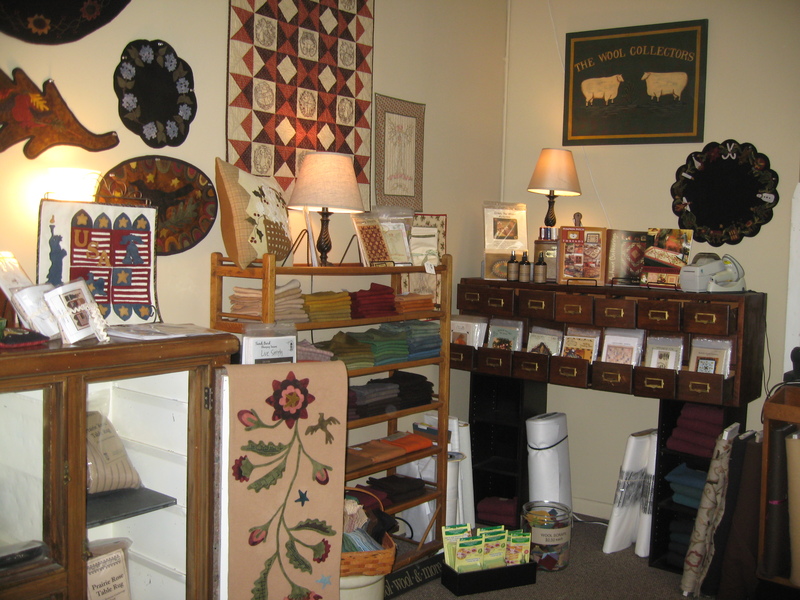 They also have a great section of wools & stitchery. And a very well stocked book section. 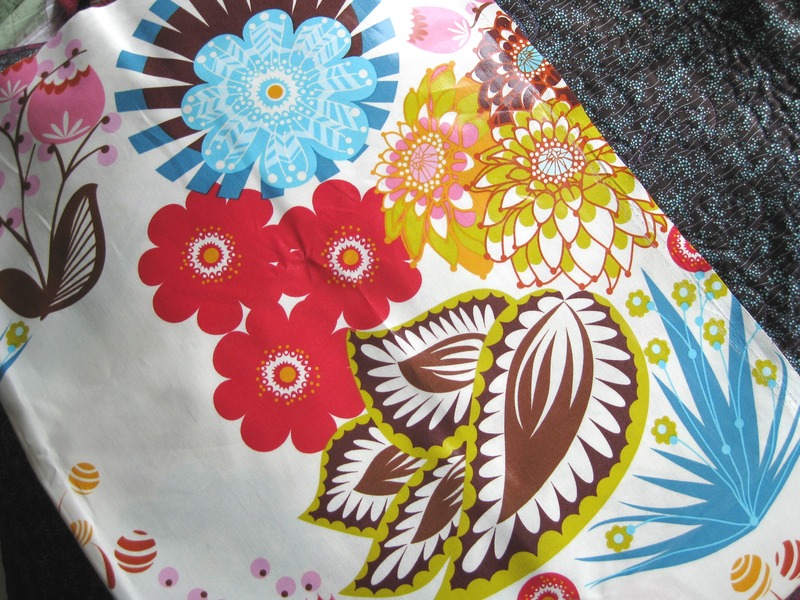 And of course some pretty great fabrics too! 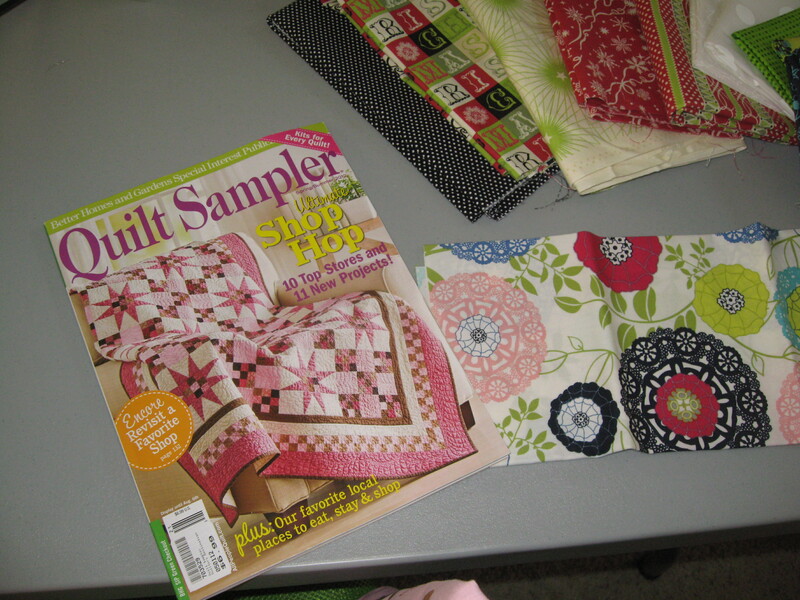 If you’re dyin’ to go on a shop hop but can’t find the time, pick up the new spring 2012 issue of Quilt Sampler for the top 10 shops to visit. This is my favorite magazine. Lots of interesting stories about how the shops get started, free projects and eye candy to keep you entertained. I hope everyone has a Happy Mother’s Day & a great weekend! Hi all, yes this is Paige. 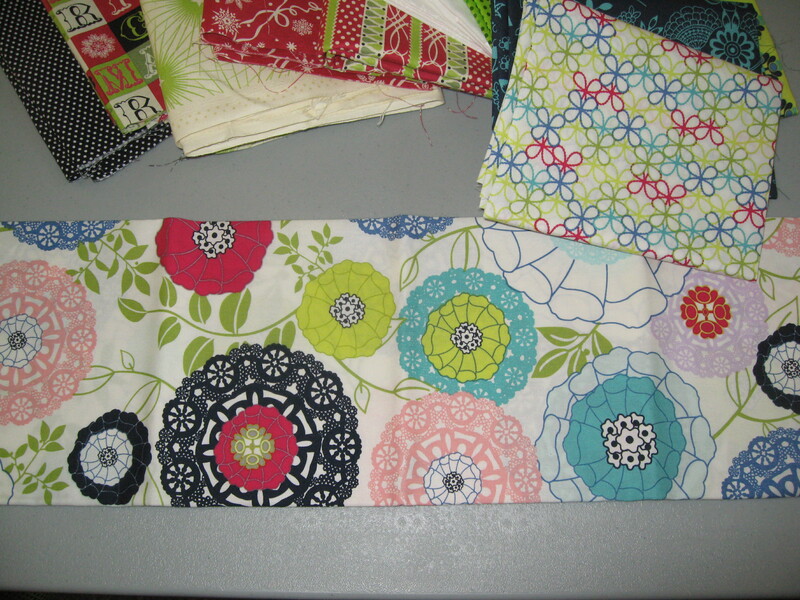 I don’t get much time to blog but I’m hoping to change that so I can share some of my quilting journey as well. A couple weeks ago, I spent a wonderful relaxing vacation in Austin with one of my dear friends and her cousin, who lives there. We did a little bit of everything from touring caverns to live music to helping a bit at a bicycle race for MS to the best tex-mex cuisine and margaritas! Definitely hard to come back to the cold and overcast skies. 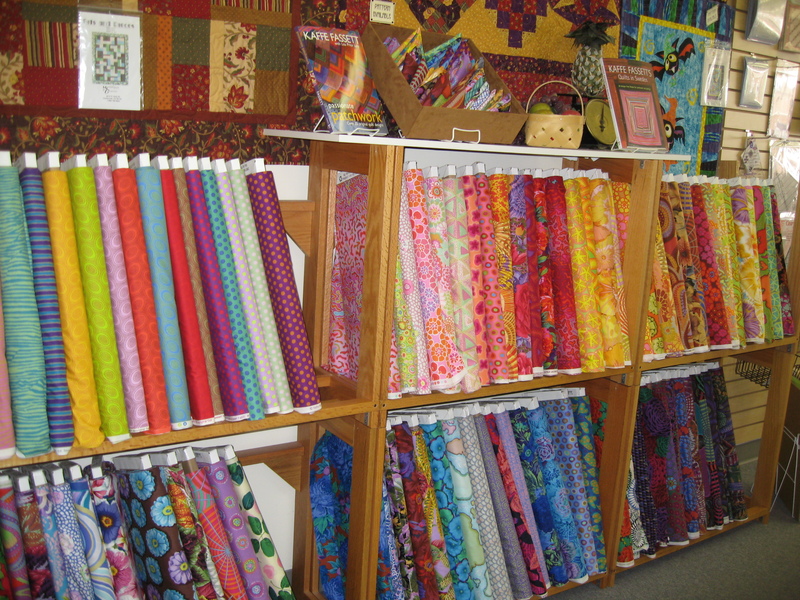 Of course, all quilters know the best way to plan a road trip is to layout the route based on where the quilt shops are located, am I right?! Well, Karen and I developed our own shop hop and visited 10 shops over the week. I did my Google Maps search and here are the shops we chose based on location, their websites and images of their shops. I must say, they were all worth the stop. The Stitch Lab in Austin was such a cool place. Leslie, the owner, was so kind to take a moment and tell us a bit about herself, her journey and how her place was evolving. 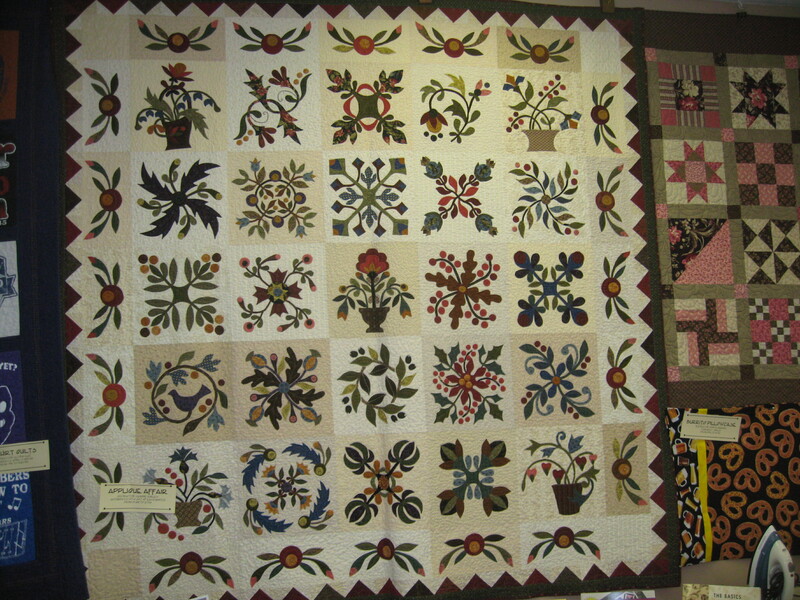 Her selection of fabrics included cottons, voiles, linens and home dec – all were current and vibrant. 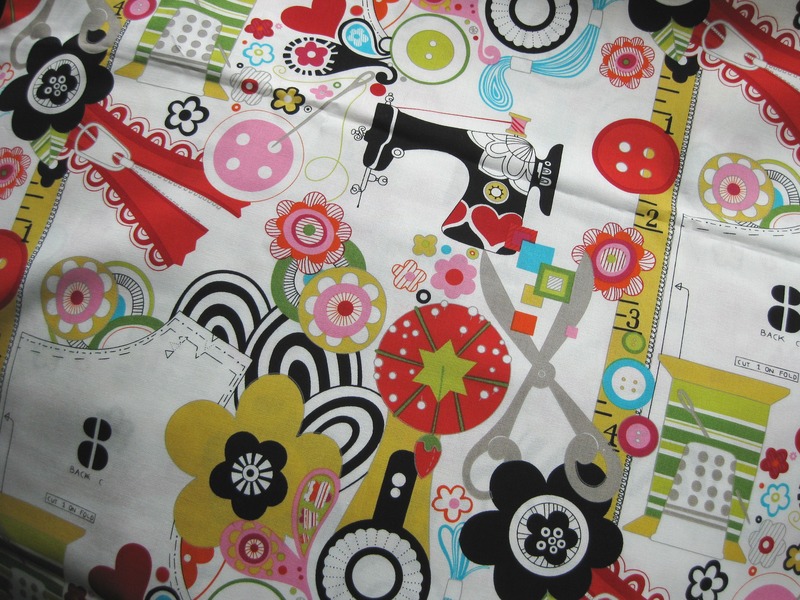 There was lots of energy flowing thru the rooms and lots of busy hands cutting and folding the new fabrics that just arrived. We fell in love with the quaintness of the shop and wanted to hang out all day –click here to see more pictures of her shop. Las Colchas was another must see shop in downtown San Antonio. 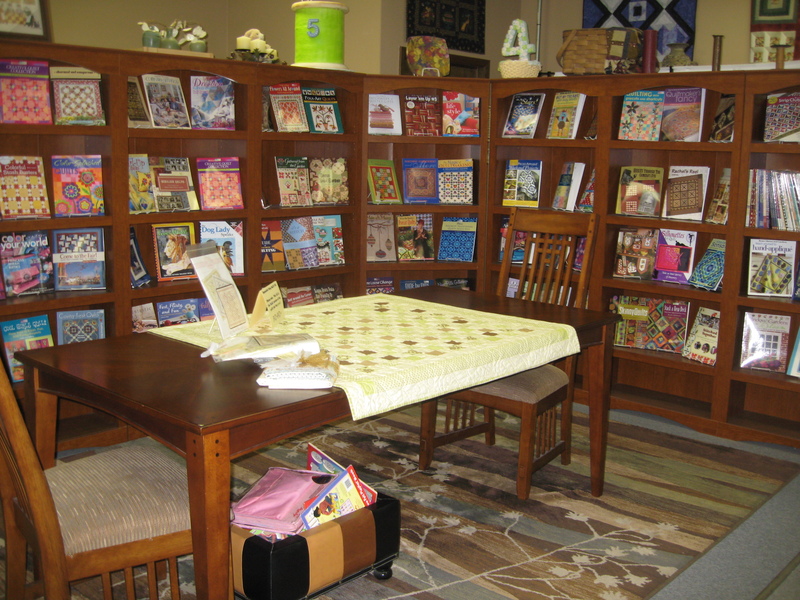 A charming cottage home converted into a quilter’s paradise filled with fabrics from modern to folk, a cozy classroom and deck off the back. 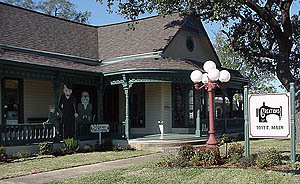 The staff was pleasant and very helpful. 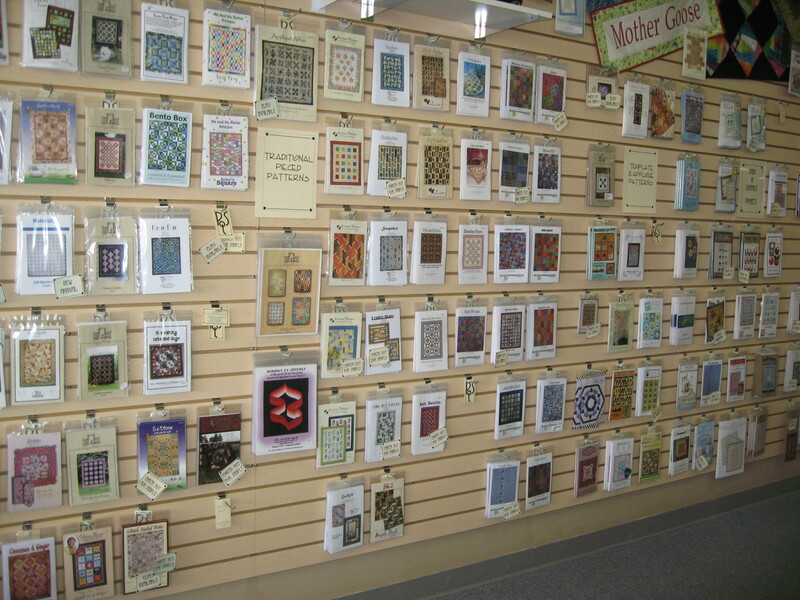 When we walked into Creations in Kerriville (NW of San Antonio), I was instantly drawn to the 100’s and 100’s of bolts of Batiks. Their selection was amazing…I had to touch each bolt and wanted a yard of each for my stash. About 15 minutes into the shopping spree, my phone started beeping -I had a new text…hmmm, who could it be…it was Karen texting me from the front of the store telling me “this place is huge!” and before I knew it she was at my side saying “you’re still here? You’ve got to see this place”. 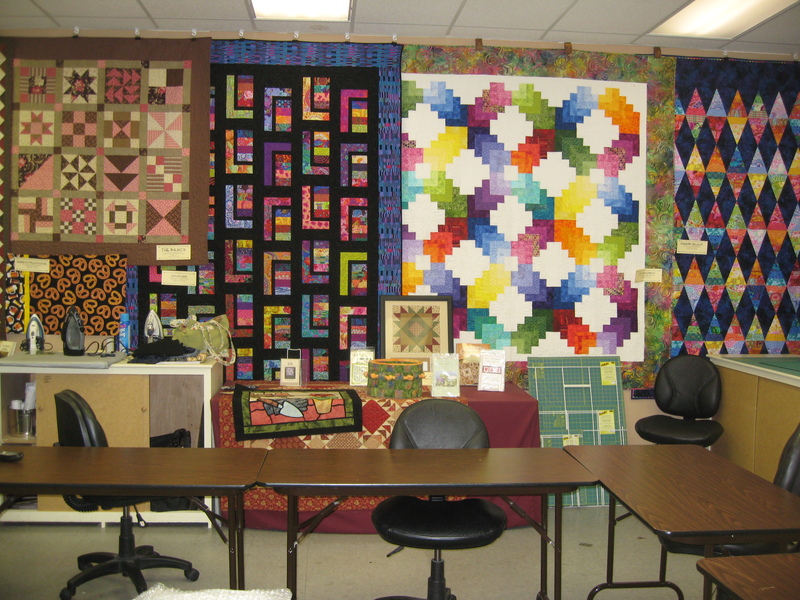 Creations had a separate room for every style quilter and do-it-yourselfer. 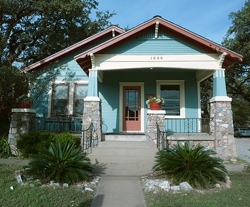 The staff was so personable and helpful I didn’t want to leave –a definite must see! Below are some of the goodies I couldn’t do without! 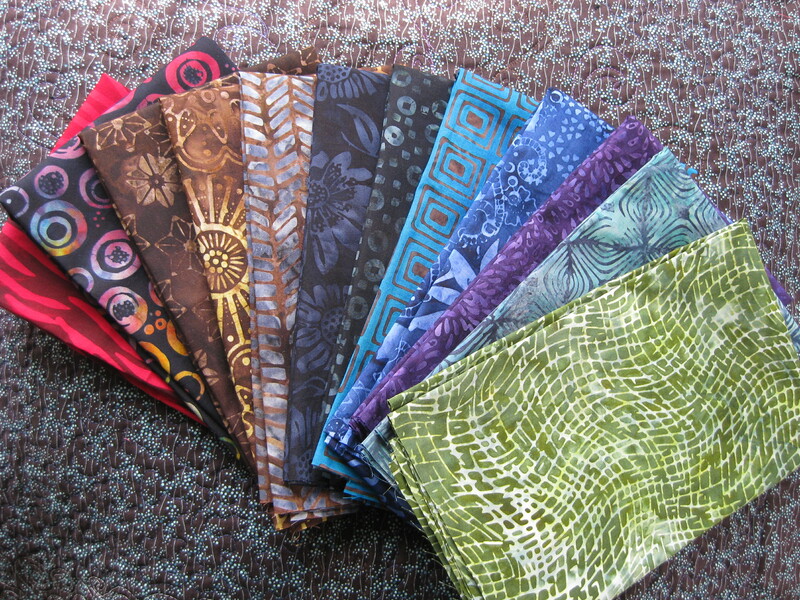 I definitely went on a Batik binge.